When I initially thought about writing this, I was expecting to be coming into this game on the back of two defeats and potentially be on the hunt for a new manager. However, after an impressive victory against Leeds and a respectable performance at Chelsea it was anticipated that we would still have Aitor Karanka at the helm heading to the Madejski on Saturday. Fresh rumours suggest otherwise but there’s probably a need to just let this play out now – either way it needs a definitive conclusion. Hopefully that involves Karanka staying in place but we saw the impact it had on the team at Millwall when the club was gripped with stories of his apparent dismissal. 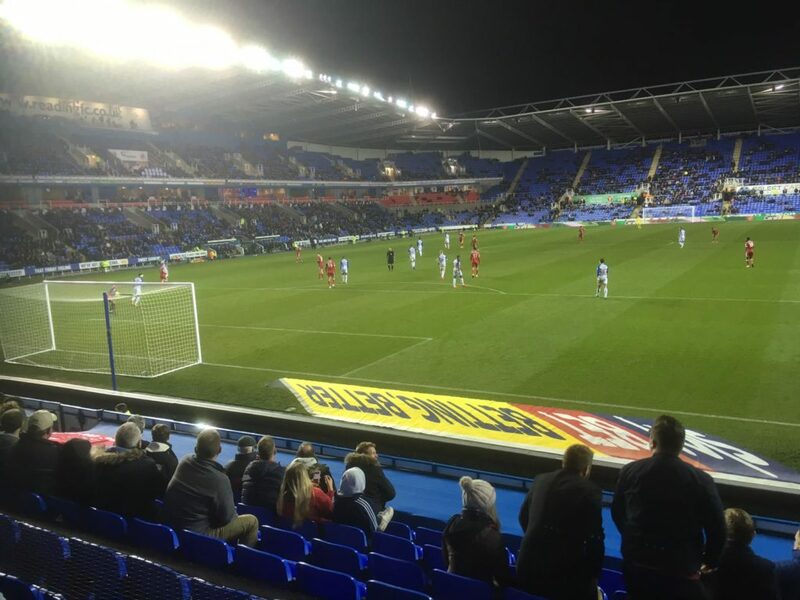 Reading are currently sitting in 23rd, 5 points from safety, having not won in the league for 10 games. Despite this, they have a decent home record against the Reds in recent years, beating us on the last 3 occasions. 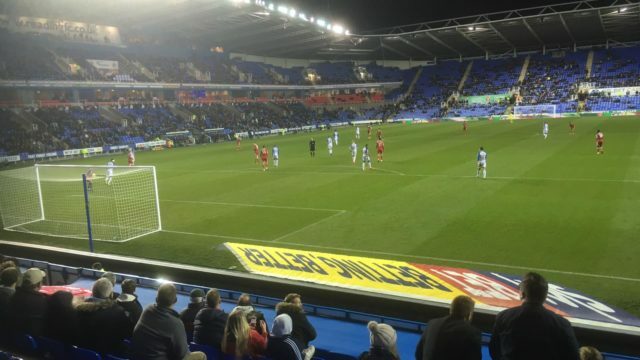 You would have to go back to 2015 for the last Forest away win at Reading. Hopefully that changes on Saturday, but we all know what Forest are like when we play a team with a bad record. The boys in red will be backed by another fantastic following after selling out the allocation of 2,200 only hours after tickets reached general sale. I think it’s rather impressive after taking over 2,000 to Millwall and 3,000 to Chelsea. Reading have got the pricing spot on in my eyes; it’s refreshing to see adult tickets especially, be available for such reasonable prices compared to some places we’ve visited this season. The atmosphere at recent games has been positive and I for one would love to see that continue Saturday. Saturday sees the return of the bus for us, having not done one since Derby away last year. We thought that this is perhaps one of those games that people might struggle to get excited about, as travel down on public transport isn’t the best and the grounds proximity to the town centre. Therefore, deciding it would be a good idea to get a few of us together for the journey down. The response to this one has been impressive after being slightly dubious about whether we could sell all the seats, but nonetheless we will depart for Reading with a bus full of Reds in hope of 3 points. I think this game marks the start of an important run of fixtures for Forest, after this one we face both Bristol City and Wigan at home. I’m in no doubt that these 3 games will be tough, but I believe we’ve got a good chance of gaining some ground on those who lie above us, after looking at their respective fixture lists. Train: On Saturday the trains look both expensive and slow. The 09:07 from Nottingham via Derby seems the most straightforward and cheapest, arriving at 12:06. Trains both before and after require you to go via St Pancras, with a tube to Paddington needed before heading back out to Reading. Upon arrival in Reading you will need to take the F1 shuttle which leaves from Reading station south west interchange, access to this is available from the station forecourt. These run regularly pre and post match and are nice and cheap. Car: Hopefully the journey down to Reading shouldn’t take too long, looking like it should take just over 2.5 hours via either the M1 or M40. 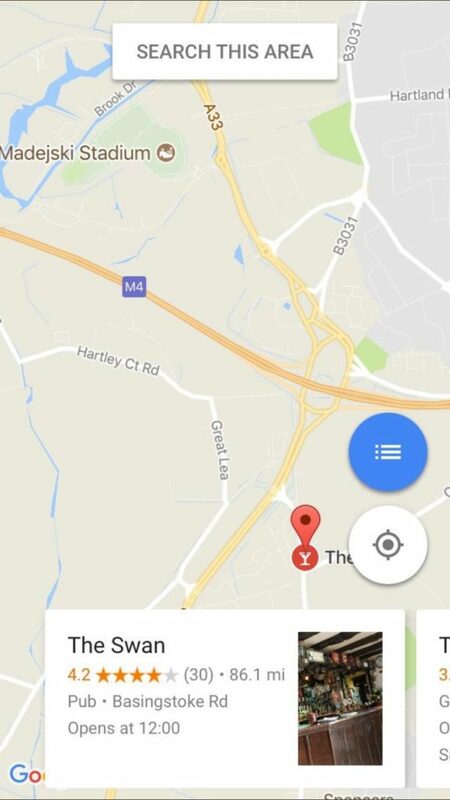 Reading advise that the best parking for away fans is Shinfield Park (RG2 9FW), parking here is free with a shuttle available to the stadium costing £4 an adult and £2 per child for a return journey. There are also a ‘limited’ number of spaces available at the stadium in the family parking area, for use of families with children under the age of 8, costing £10. The local industrial estate across from the stadium also has some paid parking ran by the individual business units but, be warned, it can take a while to get going again after the game. There is some street parking about a 10 minute walk to the ground around Spencer Road (RG2 8TP) and the assorted streets off it. Space usually gets taken up pretty quickly but it’s free and it offers a better get away after. Also close by is the Deep Blue Sea chippy which is definitely worth a try. There are no designated away pubs in Reading town centre, however, I’m sure you shouldn’t find much issue getting in any – the Three Guineas right next door is usually a regular haunt for Forest fans. Closer to the stadium I believe the World Turned Upside Down (RG2 0JE) welcomes away fans, from here it is about a 25-minute walk to the ground. One place we would definitely recommend is The Swan. It never seems to get picked up as a place to go before the game, perhaps because it sits on the other side of the M4. It’s a bit of a walk and does involve crossing a couple of busy roads but certainly closer than the World Turned Upside Down. The Swan is a little old fashioned and isn’t the biggest but does some cracking beer and food. It also has a sizeable car park on the back and we had no issues leaving our car there for the duration of the game. Of the pubs we’ve frequented around the ground this is the best option for sure. 1. I think it’s fair to say it’s been a tough season so far for Reading, finding yourselves in 23rd. After avoiding relegation last season, do you think your side can avoid the drop on this occasion? Under Paul Clement we were a cert to go down this season, but Jose Gomes has come in and everyone seems to have taken to him. The fans like his honest and warm attitude, and we’re now dominating possession but unlike under Jaap Stam we are more attacking; we just lack an end product at the moment – but it’s coming. Do we think we can stay up? We’re more positive about it, but we’ve got to start winning games and now! 2. Prior to the season opener, what would you have expected from Reading this season and how does that match up to current performances? I think most of us would have gladly taken a top half finish. Certainly with the players we have we really shouldn’t be in another relegation battle, but here we are again, and it’s very frustrating and disappointing. 3. Forest haven’t tasted success in the last 3 attempts at the Madejski; how do you think Saturday will pan out? The fans are getting behind the team a lot more now under Gomes, but we must start winning games. Form wise Forest should have too much for us, and perhaps a point would be a good result for us, but we are desperate for wins now! I’m fully expecting another frustrating afternoon though. 4. Fans at certain clubs have started creating initiatives aimed at improving their clubs atmosphere over recent years. Do Reading have something similar and how have fans engaged with it? We have a fantastic group of fans that have formed Club 1871. The idea behind it is to have a second singing section in the stadium, where as it was just 1000 or so fans to the right of the away fans that make any noise. The 300 or so that occupy the left side of the South Stand (away end) make a great effort, but another poor season has seen the typical drop in attendances, and it’s hurt the initiative. But Club 1871 are working hard to encourage others to join them and hopefully it’ll take off as performances improve and the feel good factor returns. 5. We have sold our full allocation and there was some disappointment that no more tickets were offered. We have been used to having the entire stand behind the goal if needed. What’s changed? This is another reason why attendances are down as much as they are. You’re correct, we would normally make the whole South Stand available to away fans and that’s something like 4100 seats. However, the club have given Club 1871 a season to make a go of the initiative. And sadly for away fans that’s at their cost (as well financially to the football club). 6. Where would you say is best for away fans to get a pre-match drink? If you want to drink at the Stadium then you can drink in the Hotel (no colours), but we also have an open drinking area outside the East Stand which has really taken off, and there’s usually an big screen with a game on to kill an hour or so before kick-off. Failing that your best bet is probably the town centre (The Three Guineas, outside the train station) and then get the football buses to the stadium (15 minutes trip). 7. I think the prices for away fans on Saturday are spot on, with away members paying £20 for an adult ticket. Do home fans pay similar prices and have attendances benefited from the current pricing? 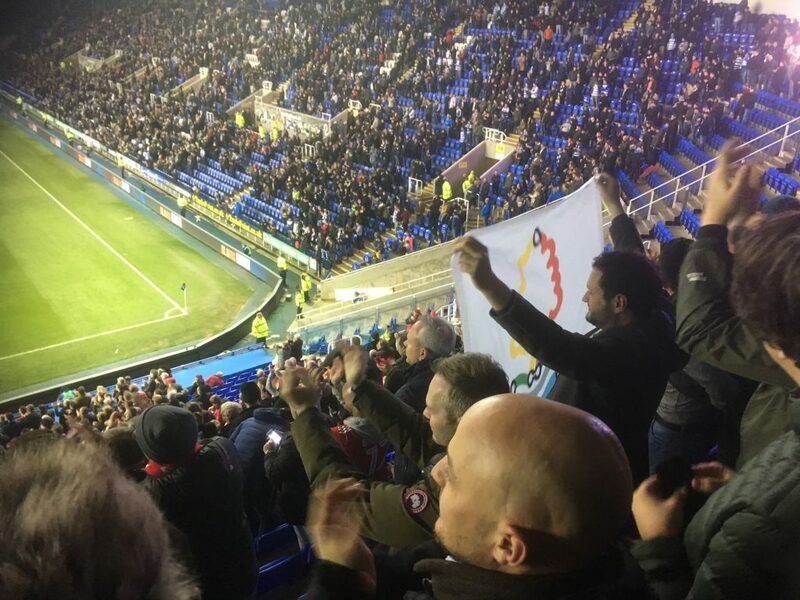 Reading are traditionally very fair with ticket pricing. Unlike most we back the Twenties Plenty initiative, and home prices aren’t much more for adults. It’s just a shame we’ve had two desperately poor seasons and a big disconnect with the board and owners hasn’t helped matters, but big changes recently look to be putting that right. Crowds will improve with some positive results and hopefully a lot of changes in and out this transfer window. 8. I appreciate you might not have taken a keen interest, but do you have any thoughts on Forest’s season so far and, given your recent change of manager, the current uncertainty over Aitor Karanka’s position? Personally I think Forest is a great club with one of my favourite stadiums and a good set of fans. You’ve been stuck in this division so long now that many of your younger fans haven’t experienced the top flight yet. I’m hopeful that changes this season (at Leeds expense…). You’ve got a good manager there and he deserves more support from the board. I hope he gets it! 9. 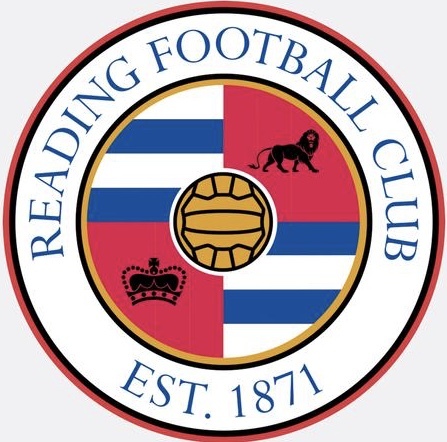 From the outside looking in, Reading appear to have undergone a major overhaul in the last couple of seasons. Changes at both manager level and in the boardroom. Have these benefited the club and do you think you are now coming out the other side with a bit more of a stable footing? We all see it with other clubs with too many managerial changes and too much instability; and now sadly we are one of those clubs. Things haven’t been helped with a very damaging appointment of Ron Gourlay as CEO, who has thankfully since been relieved of his duties, but not before causing a lot of upset behind the scenes, and reportedly after interfering with team affairs as well. He also handed out a number of huge and expensive contracts to some very mediocre players who we may well be stuck with, and in some cases we really need to get shot of! The owners have thankfully acted and brought back former CEO Nigel Howe who understands the football club and the supporters from a previous long and successful stint that in recent years oversaw three seasons in the Premier League. He very promptly made several changes from sporting directors, to management and coaching staff, and there is a much better feel about the place as a result – but we must now start winning games again! 10. Two long serving Reading players are former Forest favourites:- Garath McLeary and Chris Gunter. Are they both still popular players with the Reading fans and do you expect they’ll play on Saturday? Ha, that’s a loaded question that causes a big split in opinion between our fans. Garath McCleary is still a favourite with supporters, although after a number of injuries in recent years, he isn’t the same effective player that he once was. Chris Gunter? Now he does cause a divide in opinion. You’ll struggle to find a more professional and committed player, but he is a cause of a lot of frustration in the stands. He likes to get forward and he can’t be faulted for that, but defensively he’s not the best. He does seem to raise his game for Forest, so if he does play, I’m sure he’ll up his game, but we would be expecting Andy Yiadom to keep his place at right-back for Saturday. If Gunter is fit, he could drop into left-back, but that would be harsh on Omar Richards who performed very well against Manchester United last weekend in the FA Cup. Thanks to Jamie for sharing his thoughts with us.